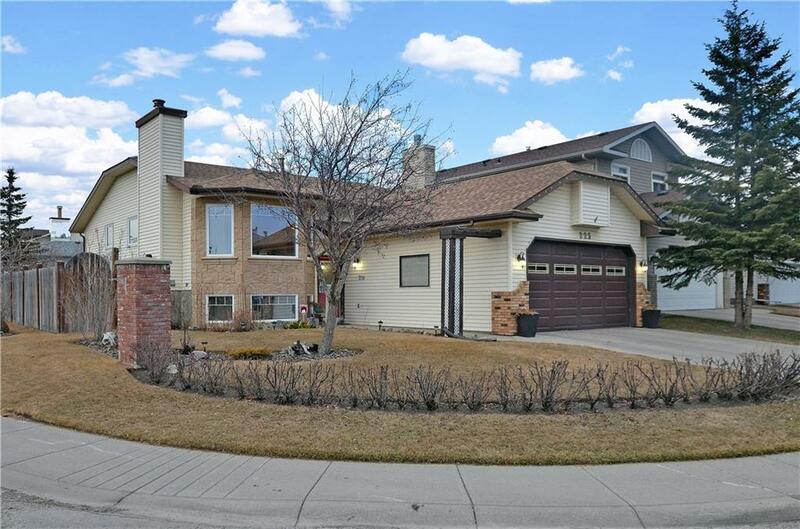 DESCRIPTION Nestled in the quiet community of Hawkwood, this beautiful family home features 6-large bedrooms, 3-full bathrooms, almost 2400 square feet of developed living space, and a DOUBLE-ATTACHED garage. Situated on a large corner lot, this spacious bi-level offers a move-in-ready experience that includes NEW PAINT, NEW CARPET, HARDWOOD flooring, and ceramic tile. The living room and dining room are OPEN-CONCEPT and the kitchen and breakfast nook spill out onto the backyard deck. The Master Bedroom has been tastefully completed with a CUSTOM-BUILT CLOSET and its own 4-piece ENSUITE. Flowing into the FULLY-FINISHED basement, the family room is incredibly well-lit and features ample room for a growing family. Downstairs, find 3 bedrooms, a wonderful 3-piece bathroom, and mechanical room that includes 2 hot water tanks and 2 furnaces. Outside in the yard, there is plenty space to play, relax and be with loved ones. Close to public transportation, parks, shopping, and major roadways, this home screams location! Home for sale at 225 Hawkbury CL Nw Calgary, Alberts T3G 3N1. Description: The home at 225 Hawkbury CL Nw Calgary, Alberta T3G 3N1 with the MLS® Number C4239002 is currently listed at $449,900.